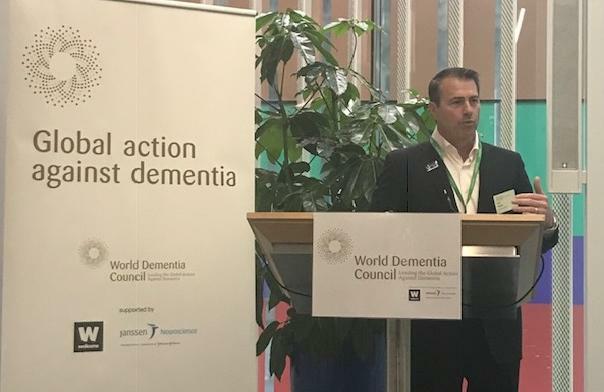 Paul Hogan, founder of Home Instead Senior Care, attended the World Dementia Council summit in London along with our UK managing director Martin Jones, to join discussions around improving care and increasing awareness of dementia by 2025. Today, almost 50 million people around the world have diseases that cause dementia and that number is set to triple by 2050. Experts believe it is costing the global economy £1 trillion every year. Despite it being a major cause of death, we have no treatments which can prevent, slow down or cure the diseases. Paul, who is an active member of the Care Global Team, contributed to a five-year progress report detailing what has been achieved since the last international summit in 2013. The report calls for a ‘global standard of person-centred quality care’, increased investment in care research from governments and continued emphasis on driving technology in care. Contributors to the report included Bill Gates, former UK PM David Cameron and founder of the Women’s Alzheimer’s Movement Maria Shriver.